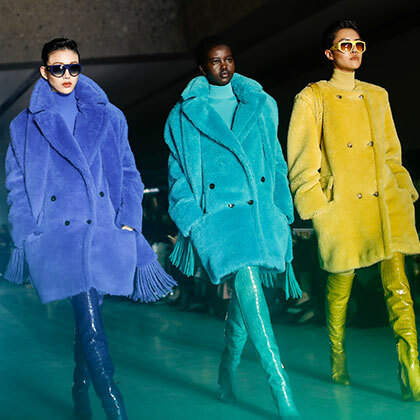 A new sense of glamour magic energises Max Mara’s idea of power dressing this Fall Winter 2019, creating a contemporary collection that is sharper and sassier than ever. Max Mara is excited to announce Elizabeth Debicki as the 14th recipient of the 2019 Women in Film Max Mara Face of The Future Award #MaxMaraFOTF. Elizabeth will attend the Fall winter 2019 Fashion Show on Thursday, February 21st. 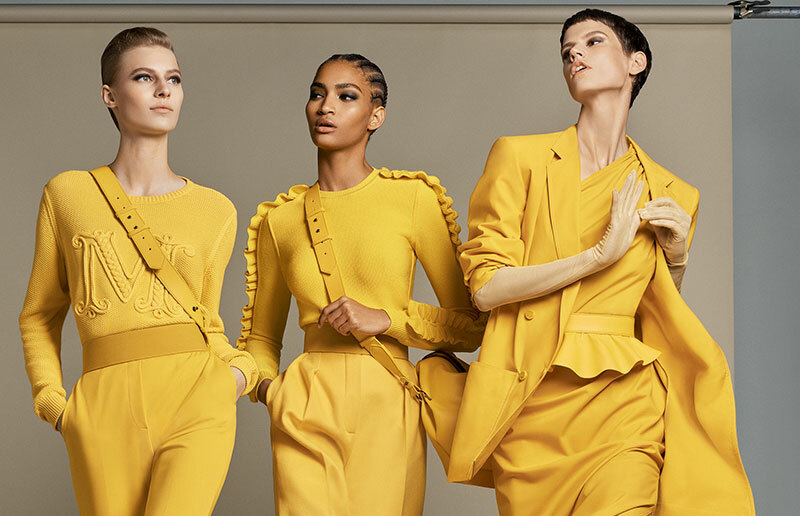 The Max Mara SS19 vision presents an empowered sense of self, taking shape through sharp and sculptural silhouettes in a colorfully impactful palette. 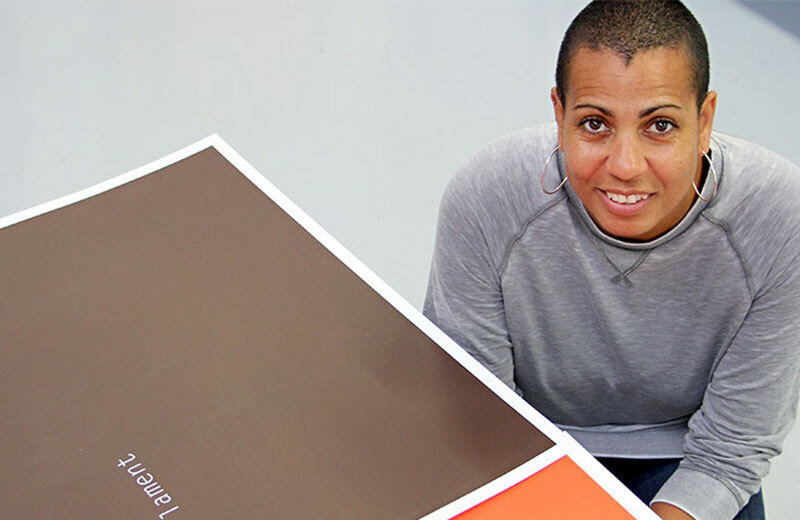 The artist Helen Cammock has been announced as the winner of the 7th edition of the Max Mara Art Prize for Women at a ceremony that took place at London's Whitechapel Gallery on Monday 16th April, 2018. Thanks to this initiative, Helen will have the opportunity to spend six months studying in Italy, home to some of the very best institutions in the fields of art and culture. I couldn’t throw a coat away, it would not be a good idea either. 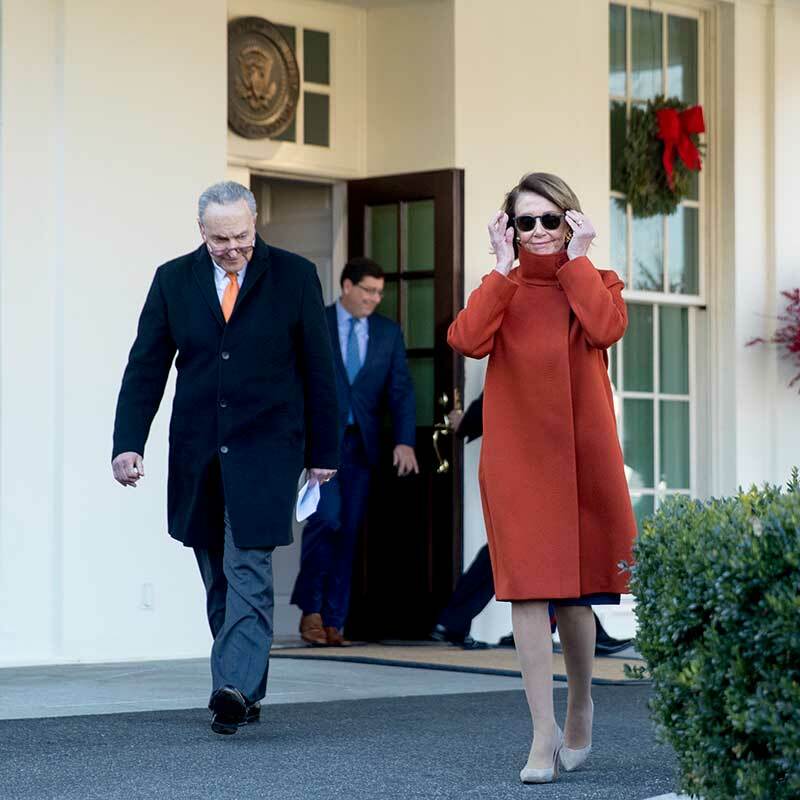 It’s wonderful to see how coats change over the course of time, and how they don’t. 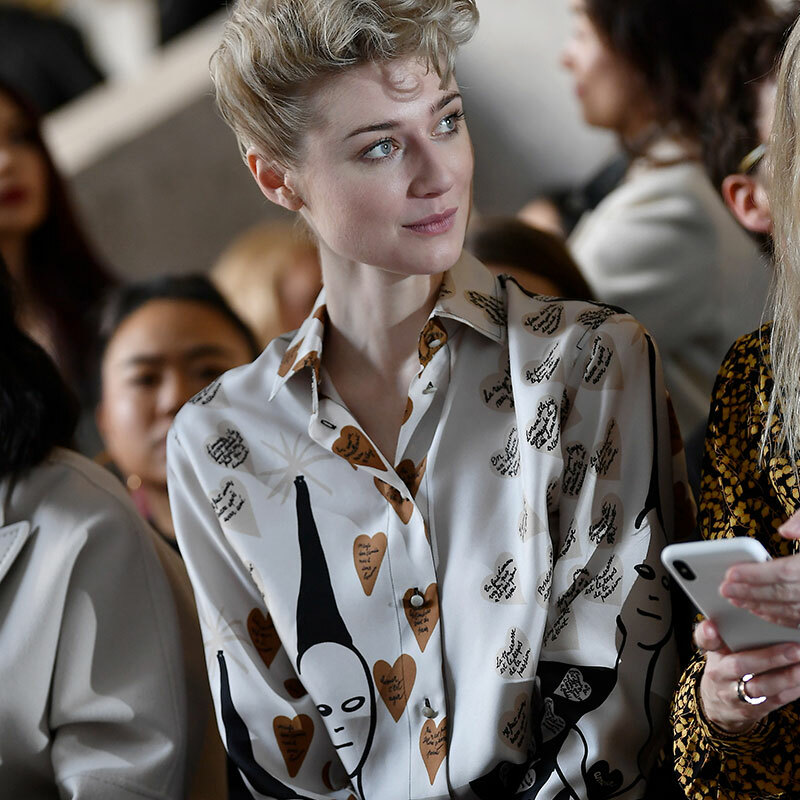 Classic collections reinterpreted from a female perspective take centre stage on the runway, with a stylish take on the world of ancient myths and legends rewritten for contemporary women. Inspiration comes from the goddess Amphitrite, queen of the seas, with gorgeous Mediterranean shades of olive, okra, pure white and deep blue. Max Mara is the symbol of a utopian dream, of a quality garment for everyone. This is to acknowledge and credit the Max Mara 101801 coat worn by top model Karlie Kloss while arriving to the Today Show in New York. To celebrate The Cube’s 10th anniversary, and in honor of a craft we love, we asked a group of photographers to give us their interpretation of this idea, with only one caveat in mind: it can be analogue or digital, pixel or grain, but always, it has to be life, cubed. installation by the Korean artist Yiyun Kang, curated by Daehyung Lee. The #MaxMaraGram logo pattern, inspired by the historical Max Mara logo from the 1950s, takes centre stage in the new Fall Winter 2018 collection. 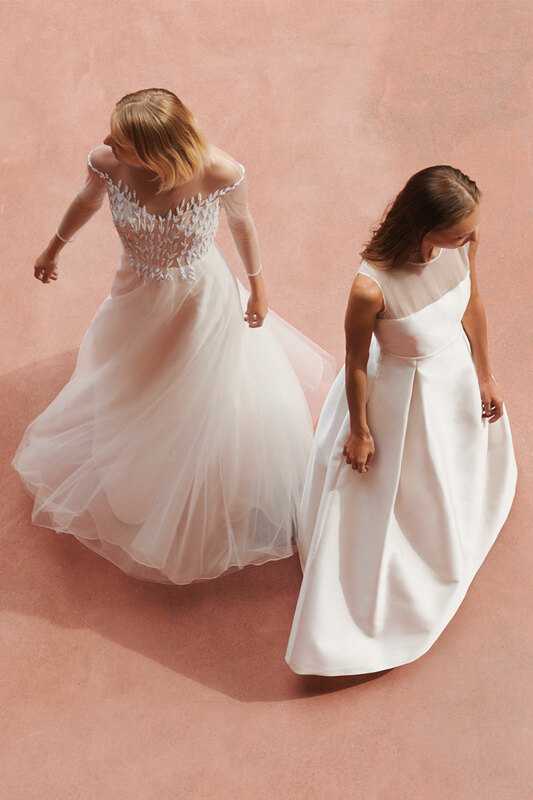 A collection combining a sophisticated essence with true tailoring savoir faire, Max Mara Bridal is the perfect and practical companion to every modern fairy tale. 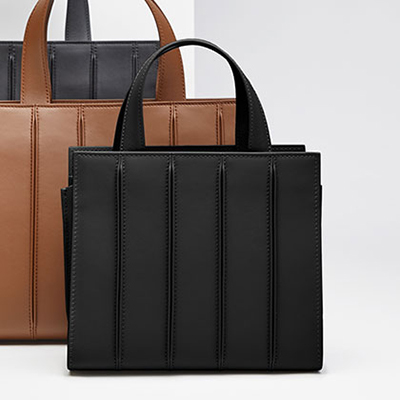 Season after season contemporary classics live alongside new romantic styles with an edge, embellished by precious materials and refined details. The retrospective tracing the history of Max Mara's iconic coat collections — the worldwide journey of “COATS! 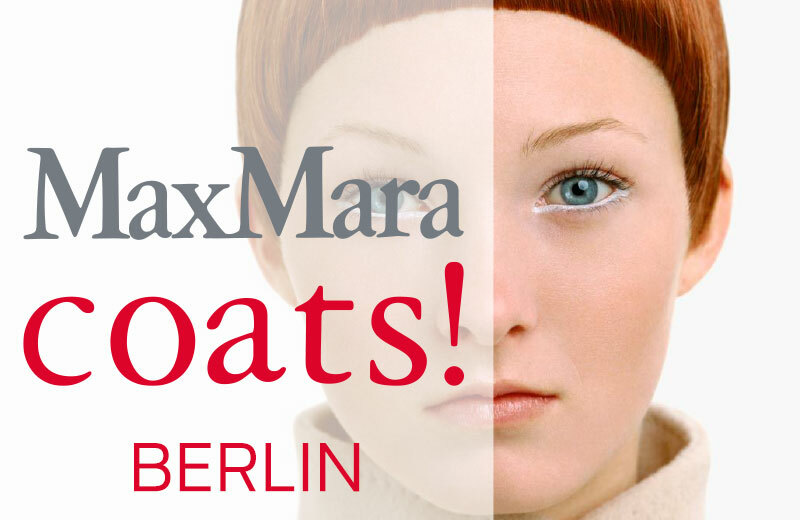 Max Mara, 55 years of Italian fashion” exhibition began in Berlin, where it was presented at the Kulturforum of the Staatliche Museen. 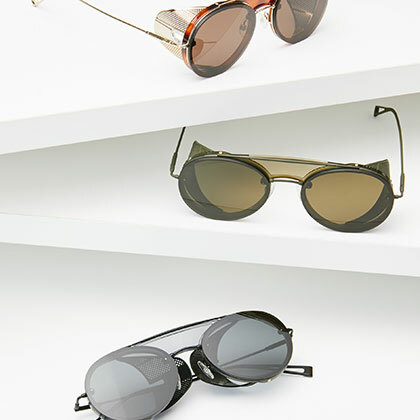 Yesterday, today, tomorrow – the 101801 is forever chic. 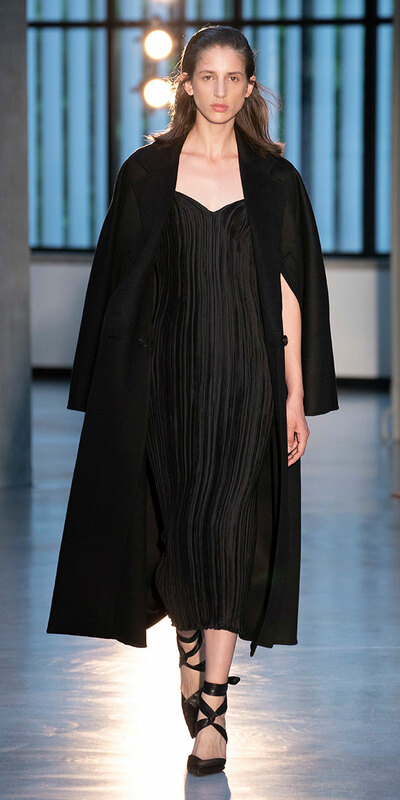 A beautiful balancing act between tradition and newness, fashion’s most iconic coat deserves a moment in the spotlight – then, now and again. Ultra-feminine and faultlessly flattering, the Manuela’s cinched-waist silhouette celebrates and elevates the beauty in every woman. An empowering style statement as unique as you are. Ultra-plush and fuzzy, yet with a worthy wow factor, the Teddy has quickly become a firm favorite with the fashion crowd. 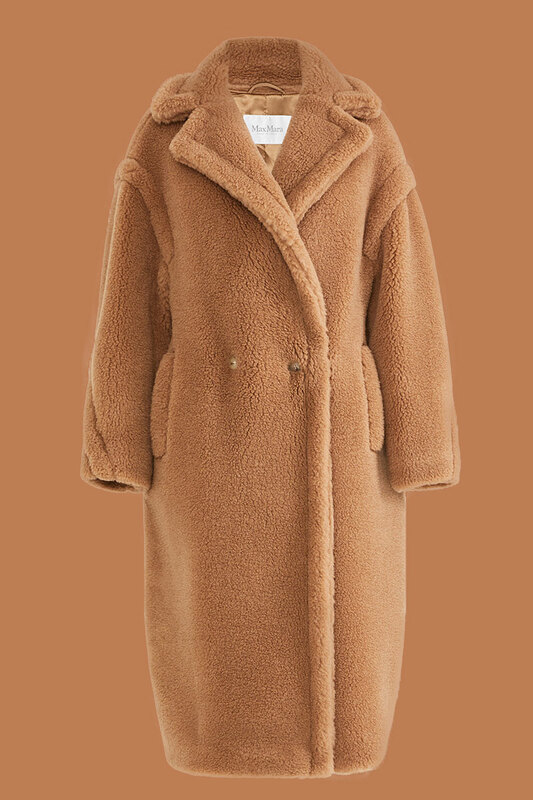 A sartorial dream come true, throw it on for instant cozy chic – gasps of utter delight guaranteed. 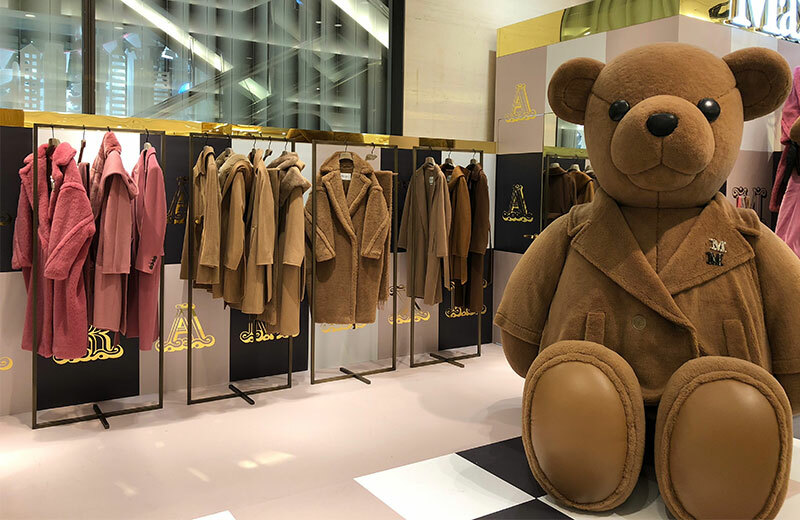 An exclusive event at the Hankyu Umeda department store to celebrate the Italian exhibition week. 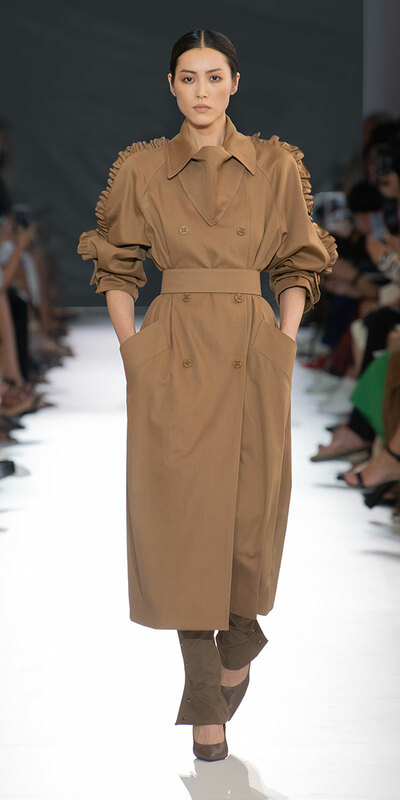 Max Mara will present, in a modern and innovative way, its heritage by showing a selection of garments from the company’s archive, including the coats, Max Mara’s key product. 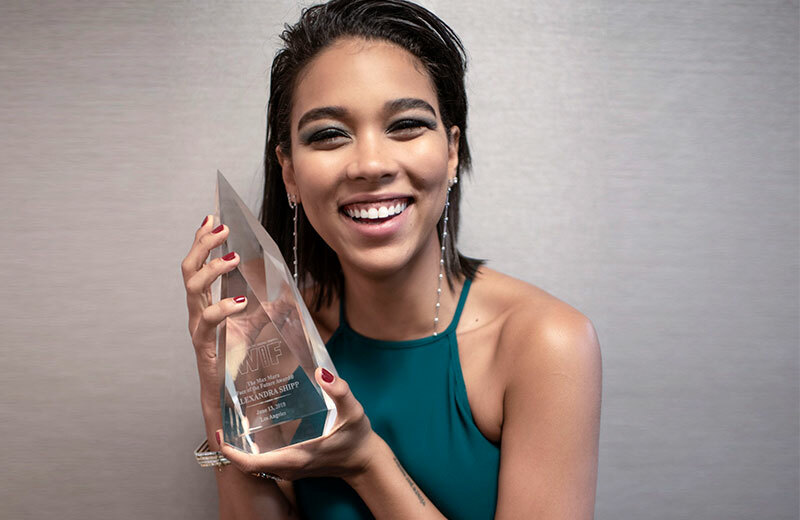 Alexandra Shipp, has won the thirteenth edition of the Women In Film Max Mara Face of the Future Award®. The award was presented during the Crystal + Lucy Awards gala evening at the Beverly Hilton hotel in Beverly Hills. This tremendous award recognises her commitment to the film industry, her acting skills and her alluring style. 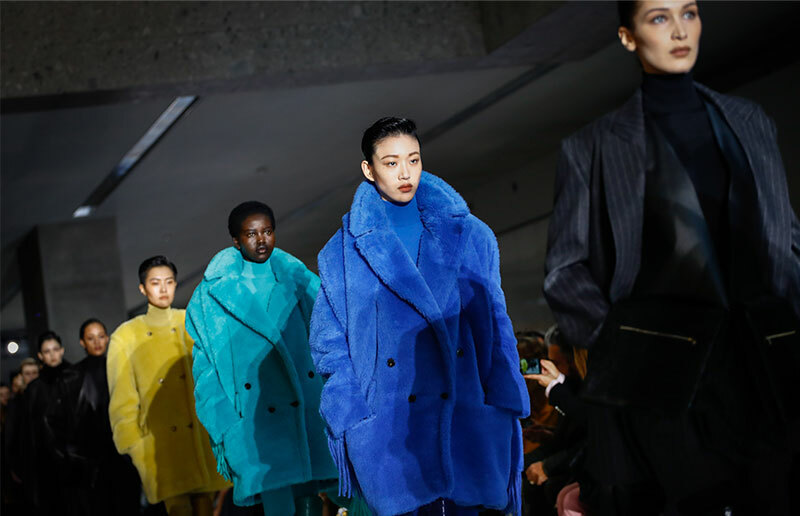 For Pre-Fall 2017, Max Mara joined forces with the Chinese artist, Liu Wei, to create a capsule collection and a set design for its Shanghai fashion show. 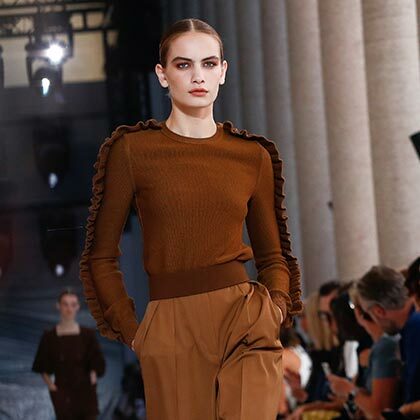 The result was a fascinating dialogue between cutting-edge innovation and Max Mara’s heritage of craftsmanship. With the fascinating scenery designed by the Milan-based Migliore+Servetto architects, the “COATS! Max Mara, 55 years of Italian fashion” exhibition continued in Beijing. The venue of choice was the esteemed National Art Museum of China. 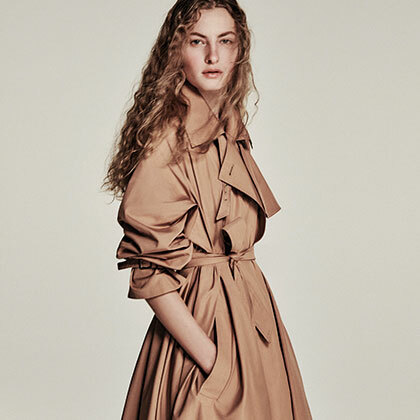 The Max Mara Resort 2019 collection is an authentic visionary voyage through the historic Collezione Maramotti and the Italian avant-garde artists it represents. A vivid exploration of a modern ideal, made of destructured pureness and tactile quality. This is to acknowledge and credit the Max Mara 101801 coat worn by actress Sophia Bush while arriving to the Today Show in New York. 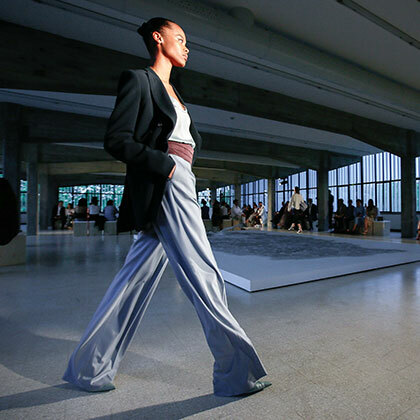 From the very first Sportmax show in 1976 and the first Max Mara show in 1983 to the memorable 2016 Monopolis! 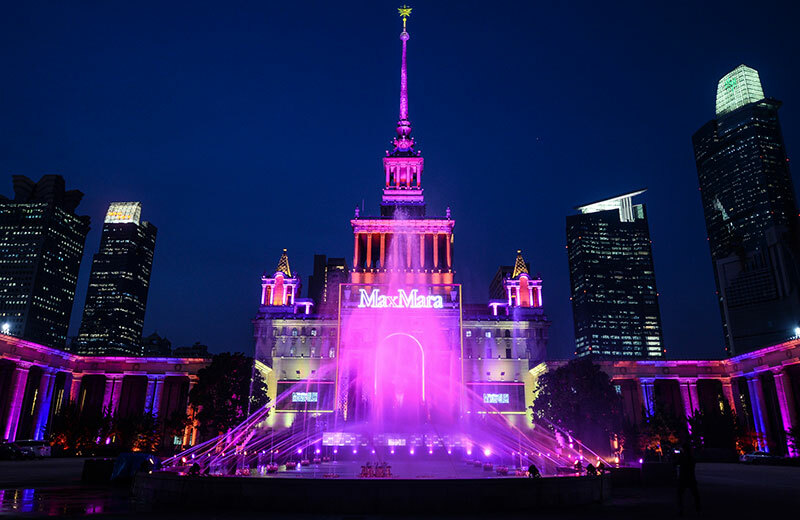 presentation in Shanghai, the runway remains the cornerstone of the Max Mara repertoire — a form of artistic expression and a chronicle of evolving culture and style. As the 90s unfolded — a decade that revolutionised fashion photography — the focus of Max Mara’s storytelling shifted towards the product and manufacturing processes. Worn by top models and captured by the legends of the era, the ultra-minimal, luxurious aesthetic became the label’s signature. Jennifer Lopez was spotted wearing a #MaxMara Atelier cream color coat while. From the ladylike 50s and the empowered 80s, all the way to today – Max Mara has always been an advocate for female empowerment. 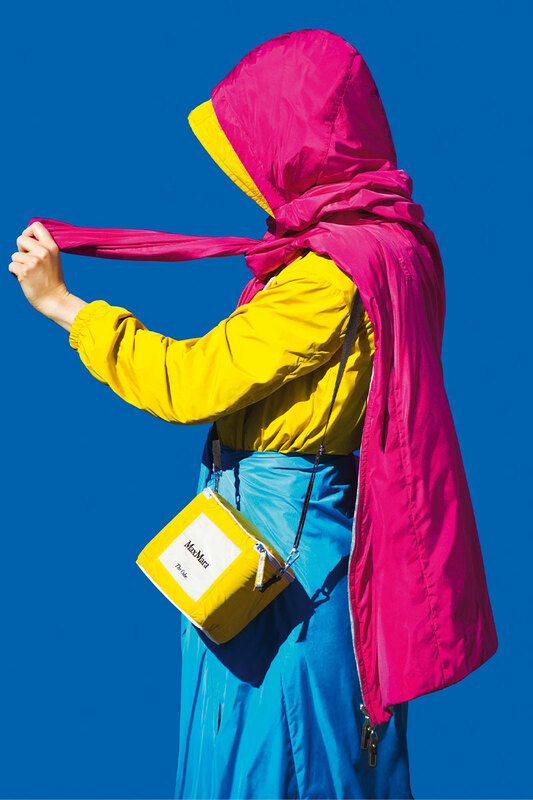 Since 2005, the brand also actively supports female talent in the creative fields, engaging with a rapidly changing world and inspiring women to take the lead. In the beginning, no one realised how special it was — and yet, still today, it represents style and value that don’t fade with time. 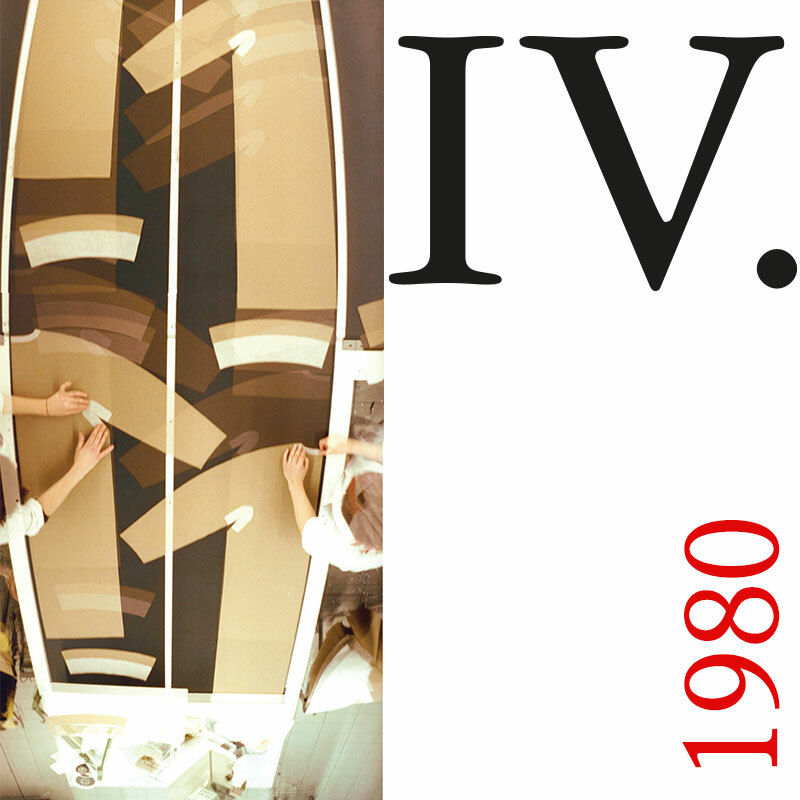 Sketched by Anne-Marie Beretta in the 80s, the 101801 coat was created: the heart and essence of the Max Mara identity. 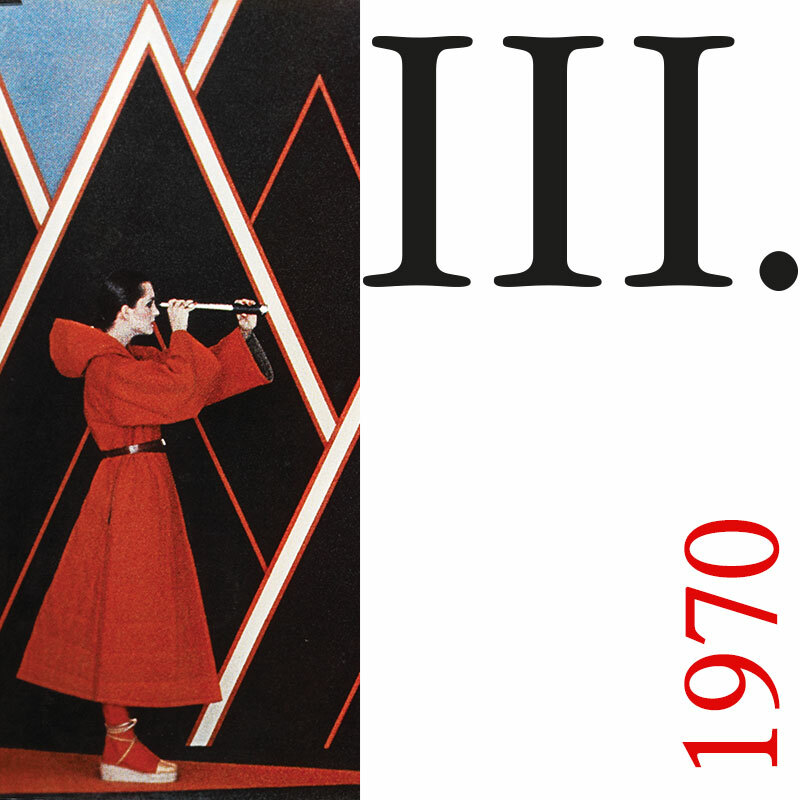 The pervasive climate of protest of the 70s coincided with the birth of Sportmax in 1969, and its first experimental fashion show directed by Jean-Charles de Castelbajac in 1976 – an entirely new interpretation of style inspired by the melting pot of cultures: modular, interchangeable and modern. 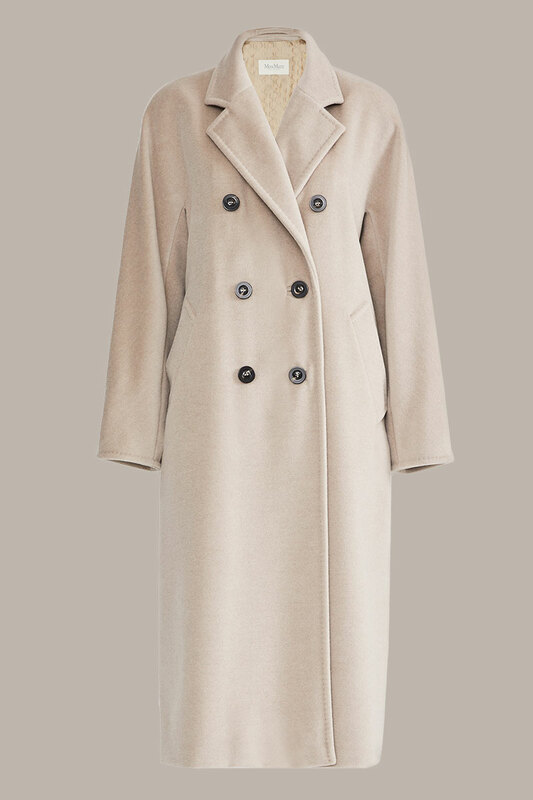 There are days when it would be wonderful to be a Max Mara Coat. The economic boom and the euphoric energy of the 60s led to the formation of the Creative Studio. 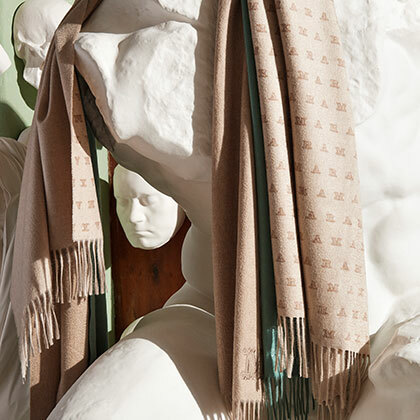 Strategically located in Max Mara’s headquarters in Reggio Emilia, it worked closely with the decade’s most talented designers, transforming their vision into a democratic, ready-to-wear dream. After Germany, Japan and China, the “COATS! Max Mara, 55 years of Italian fashion” show reached Moscow. 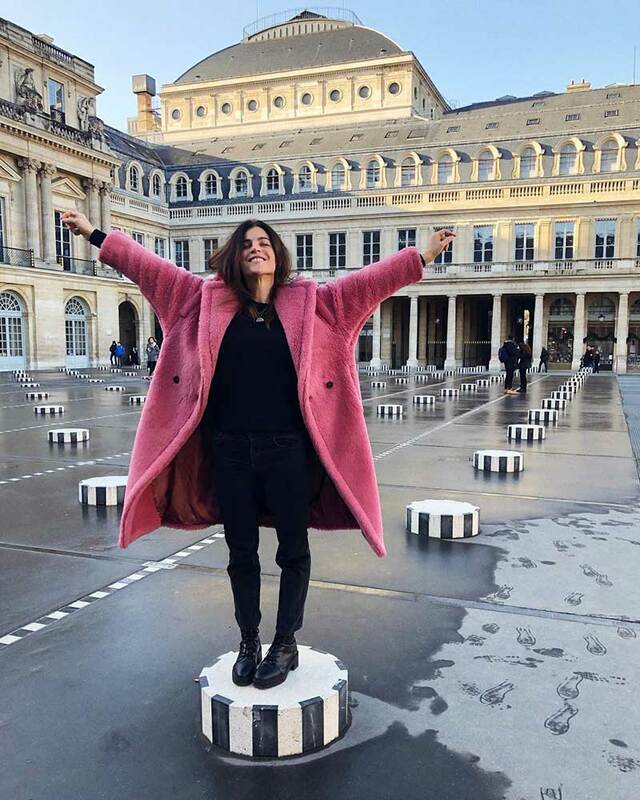 The exclusive selection of 70 coats dating from the 50s to the present day, was hosted at the prestigious State Historical Museum. 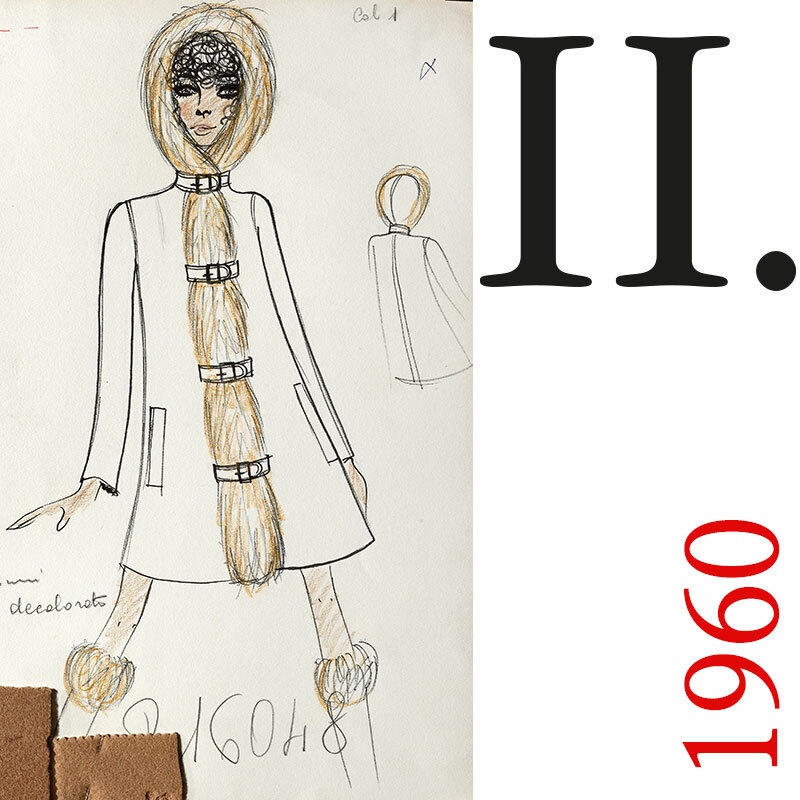 Featuring sketches from the archives, which reveal the designers who had worked with Max Mara during its history, the second stage of the “COATS! 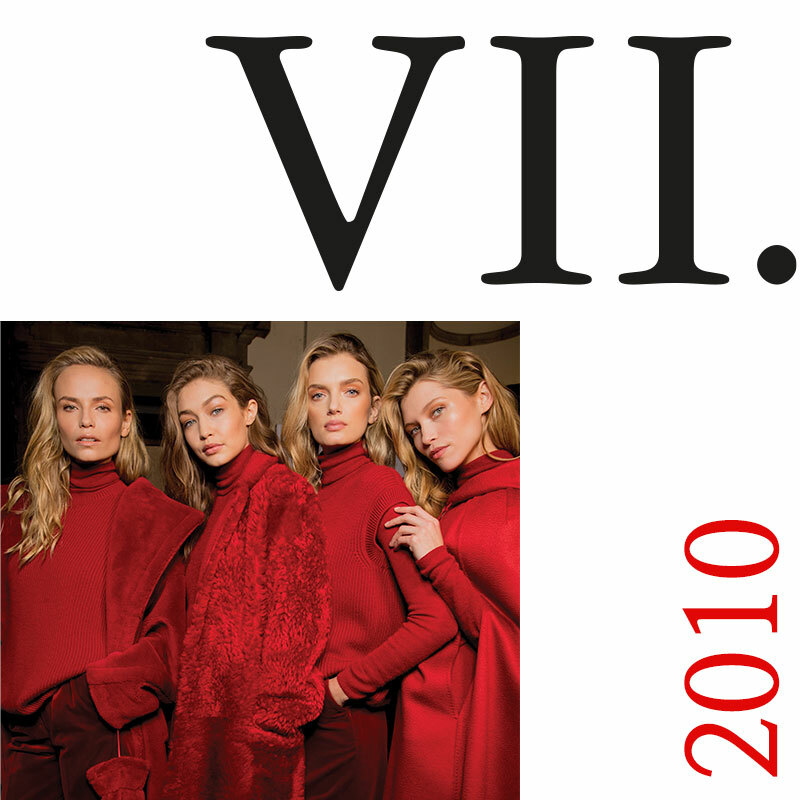 Max Mara, 55 years of Italian fashion” project saw the exhibition open at Tokyo’s Mori Arts Centre. 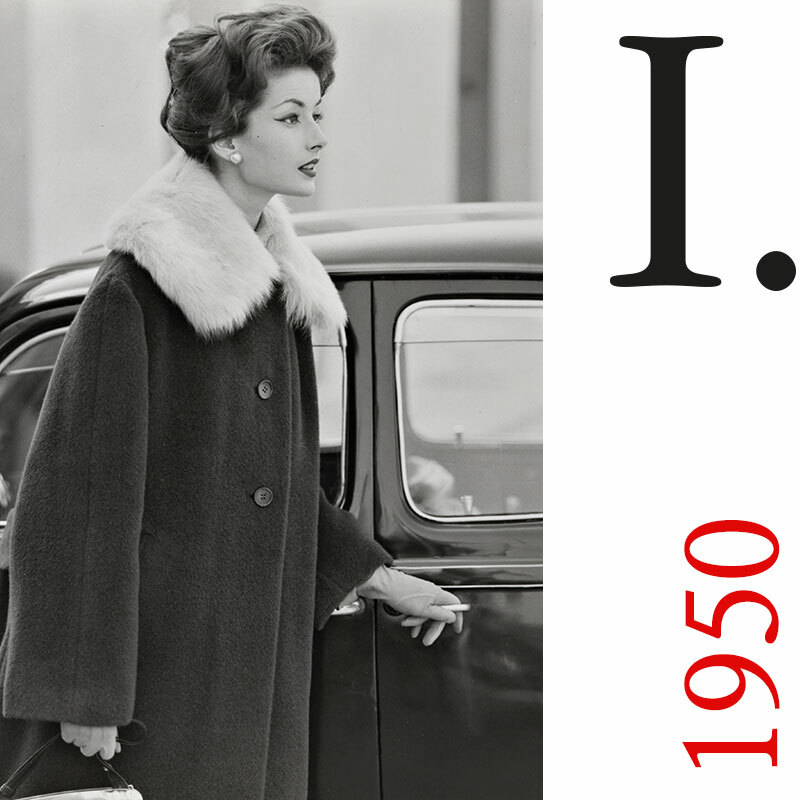 In the 50s, Achille Maramotti had a dream: to transform a man’s coat into an iconic piece for women. 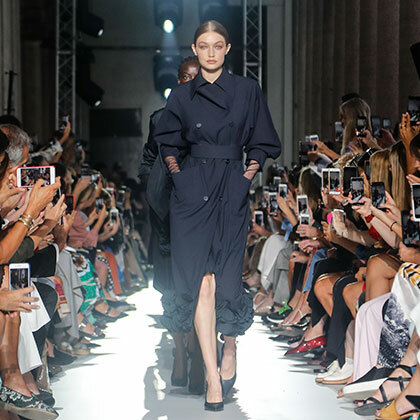 He seized the opportunity of bringing together Italian tailoring with new trends, such as French haute couture and American industrial productivity. 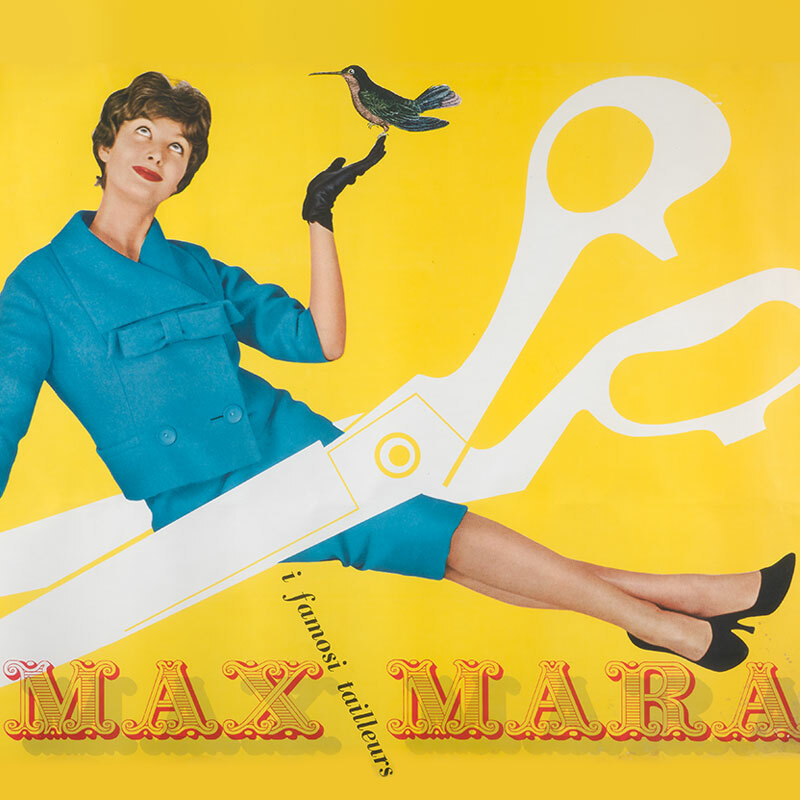 In 1959, the Max Mara factory was established.